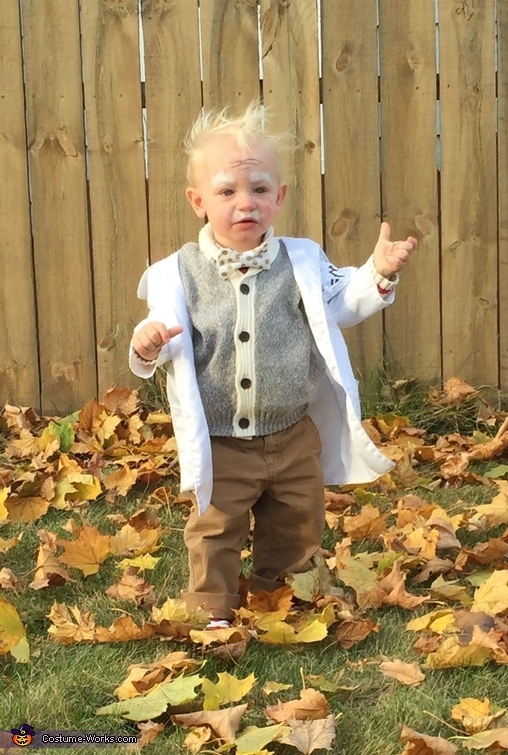 My 18 month old son, Joniven has this wild crazy hair that inspired me to dress him up as Einstein. A little gel to get it to stay, some eyeliner wrinkles, a few dabs of white body paint, the right outfit and Voila! My little genius!